Spring is slowly peaking it’s head out, soon enough you’ll be driving with the windows down enjoying the fresh spring air. For many of us, spring is a time for family vacations, road trips with friends, and weekend getaways. 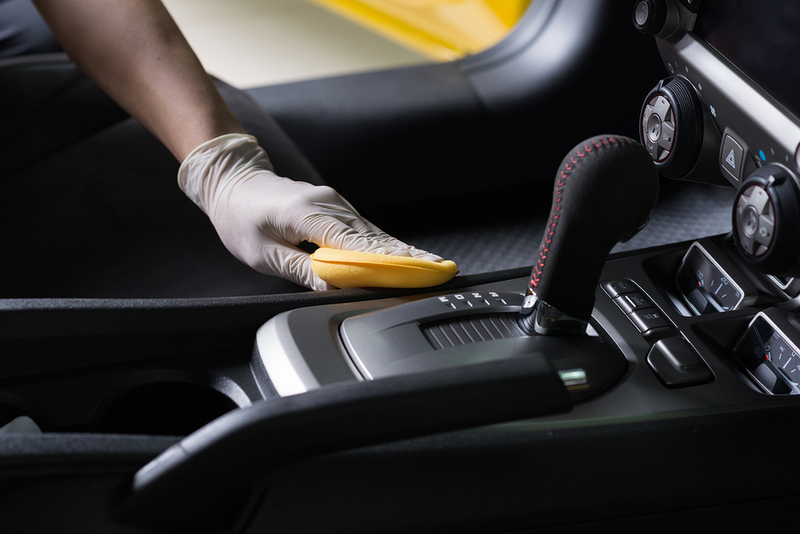 Whatever your plans are this spring, plan on giving your car some much needed attention. Winter’s cold and icy conditions have been tough on your car, it’s sure seen some wear and tear. Spring is a great time to bring your car in for a full inspection and fix any issues before they become bigger. Changing your oil and oil filter at the intervals recommended in your vehicle’s owner’s manual is one of the best ways to keep the engine running trouble free. Neglecting to replace engine oil can result in poor engine performance, higher fuel consumption and even severe engine damage. When you change your oil and oil filter, you should also check your fluids. Check your power steering, brake, and transmission fluids; your windshield washer fluid; and your coolant. If the levels are low, top them up, and flush/replace them as recommended in your owner’s manual. Keep in mind that your power steering, brake and coolant systems are closed, so low fluid levels may indicate a leak. If they’re torn or cracked your wiper blades won’t do you much good in the middle of unrelenting spring showers when visibility is reduced. Check all exterior and interior lighting to identify any problems. When your vehicle’s lighting is defective, other motorists may not get the message that you intend to stop or turn. The end result could be disastrous. Many newer cars are “lubed-for-life,” but some still require regular chassis lubrication so check your owner’s manual. Replacement steering and suspension components may also require periodic lubrication. Cold temperatures can harden and/or damage rubber, so it’s important to check your belts and hoses for damage. Check your hoses for hardening, softening, leaking, cracks, blistering, or other visual damage, and check your belts for looseness, cracks, frays, or glazing. If you have to replace one of your belts, you may also have to replace the tensioner and pulleys to keep the new belt from slipping. Your car has a number of filters that are important to its longevity and should be replaced regularly. Check your engine air filter, your cabin air filter, and your fuel filter for damage or clogging and replace them if necessary. Your tires are the only point of contact between you and road, so it’s important to take care of them. Check the pressure of all your tires (including the spare) monthly, and maintain the optimal pressure recommended in your owner’s manual. Check the tread for uneven or irregular wear and for cuts or bruises on the sidewalls. Rotate your tires every 10,000 kilometers, and replace them if they are worn or damaged. Make time for vehicle maintenance this spring to protect yourself and prolong the life of your vehicle. Don’t get stuck on your next road trip with a dead battery!